Featured on Good Morning America’s list of things to do in Minneapolis! In Sweden, fika is a daily break, traditionally involving coffee and treats. In truth, fika is about much more than caffeine and carbohydrates; it's a Swedish social institution, where friends gather to chat about life and current events. 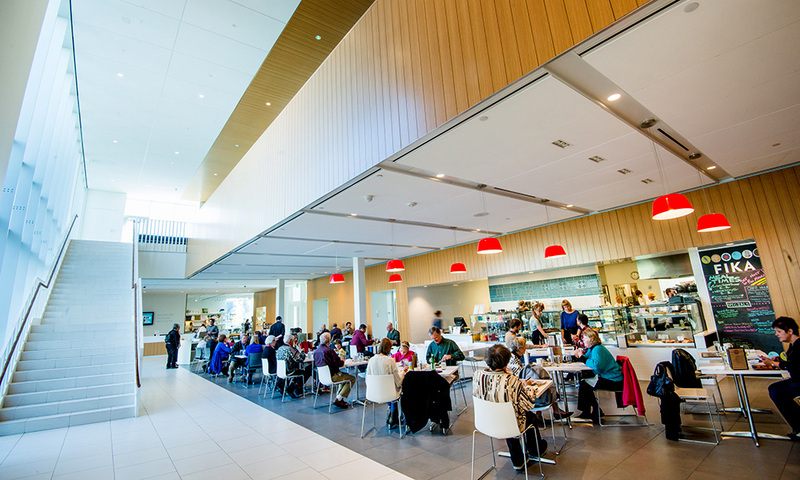 FIKA is the American Swedish Institute's Nordic-inspired café inside the Nelson Cultural Center. With the historic Turnblad Mansion in full view, guests dining at FIKA can choose from a seasonally-inspired menu dedicated to regional ingredients and New Nordic cuisine. FIKA offers family friendly meals and every week in summer (beginning Memorial Day) you will find something new and surprising while dining outside in the courtyard. Our outdoor play cart gives ASI's youngest visitors the tools to encourage a sense of wonder and enrich their visit. The StarTribune "2014 Best of MN"
City Pages "Best of Award"
Chef Blake Meier has been working in the culinary industry for more than a decade at places including Porter & Frye, D’Amico catering and Metropolitan Clubs. As part of Graves Hospitality, he worked at Cosmos, managed the opening and ran operations at Bradstreet Neighborhood Craftshouse. Blake got his first job in a kitchen at a fast food restaurant washing dishes. He quickly moved up the ranks to bussing tables and wait-assisting. 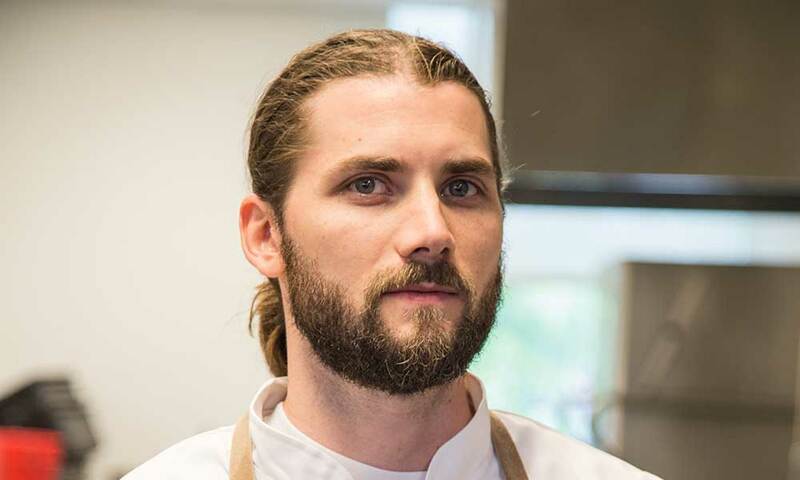 Meier became a chef at D’Amico catering in 2009 where he worked his way through college and earned a bachelor’s degree in graphic design from the Art Institutes in Minneapolis. At D’Amico, Meier fell in love with the art of cooking. In 2011, Meier earned a position at Porter & Frye (now Monello) working with James Winberg. He has also been involved in several freelance graphic design projects, including creating the logo designs for Travail Kitchen and Amusements. When the new Twins stadium opened, Meier was recruited as the sous chef in the Metropolitan Clubs. After three seasons, Meier accepted a position at Cosmos in the Graves Hotel. Starting as a daytime line cook, his dedication, passion and creativity quickly propelled him to chef de cuisine. Working under executive chef and mentor John Occhiato, he became adept at seasonal menu development, sourcing local ingredients and successfully implementing a fine dining, coursed dinner. Fika is a social institution in Sweden. It means “having a break,” most often a coffee break. 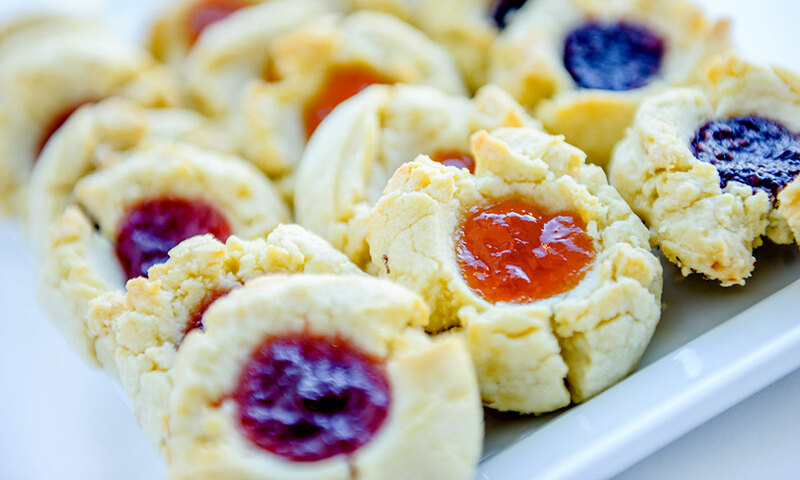 At ASI, you will enjoy one of our house made pastries and a delicious cup of our Tiny Footprint Coffee. The suggested time to take a fika is 30 minutes. Cost: $9 per guest with a 10 person minimum. Sales tax and gratuity included. Your choice of ham/cheese, turkey/cheese, chicken salad or vegetarian sandwiches (pick two). Boxed lunches include with whole fruit, bag of chips and house made chocolate chunk cookie. Suggested meal time is 30 minutes. Cost: $15 per guest with a 10 person minimum. Sales tax and gratuity included. Ever wonder what your doppelgänger in Sweden would eat for lunch? 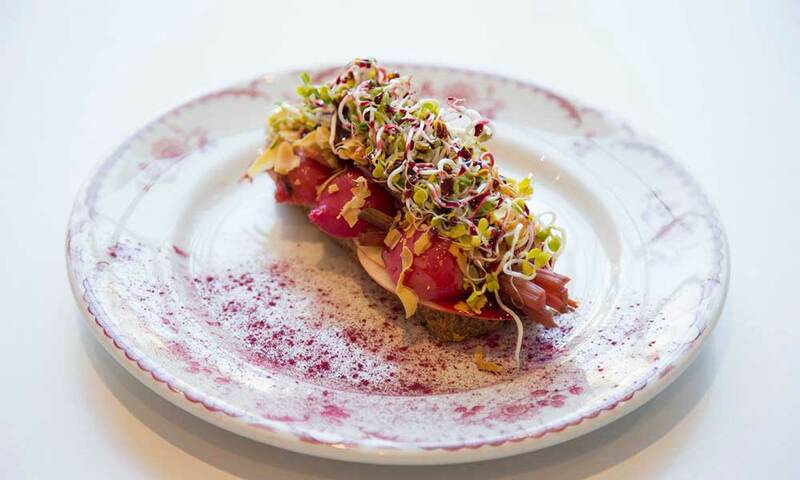 This is your chance to find out with this contemporary everyday Swedish lunch. This option includes a beef smörgås (open-faced sandwich), a home made soup or salad, depending on season. Served with coffee and water. Would you like to add sweet treats? Inquire with the catering team! Suggested meal time is 1 hour. Cost: $18 per guest with a 10 person minimum. Sales tax and gratuity included. 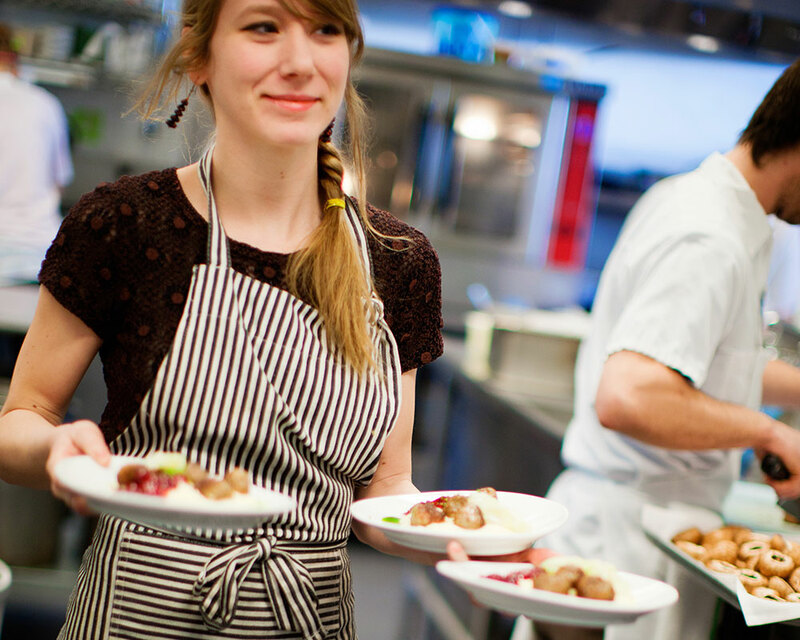 With this plated meal, your group will enjoy a dinner that features traditional Swedish dishes. 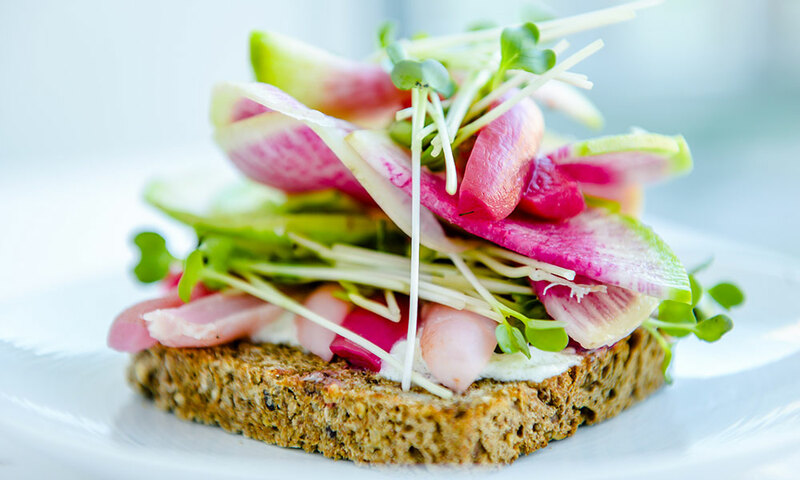 You will start with a preset combination plate of beet salad and cucumber dill salad with baskets of rye bread and butter. An entree of Swedish meatballs, potato puree, Lingonberry and sweet mustard will be served following salads. And last but not least, Chef’s choice dessert will follow the entree. Dinner is served with coffee and water. Suggested meal time is 1 hour. Cost: $23 per guest with a 20 person maximum. Sales tax and gratuity included. For group larger than 20 guests, you can enjoy a traditional Smörgåsbord. This buffet is filled with cucumber dill salad, beet salad, rye bread and butter, mashed potatoes, Swedish meatballs and lingonberries. Top it of with a Swedish dessert of Chef’s choice. Served with coffee and water. Suggested meal time is 1 hour. Cost: $23 per guest with a 20 person minimum. Sales tax and gratuity included. 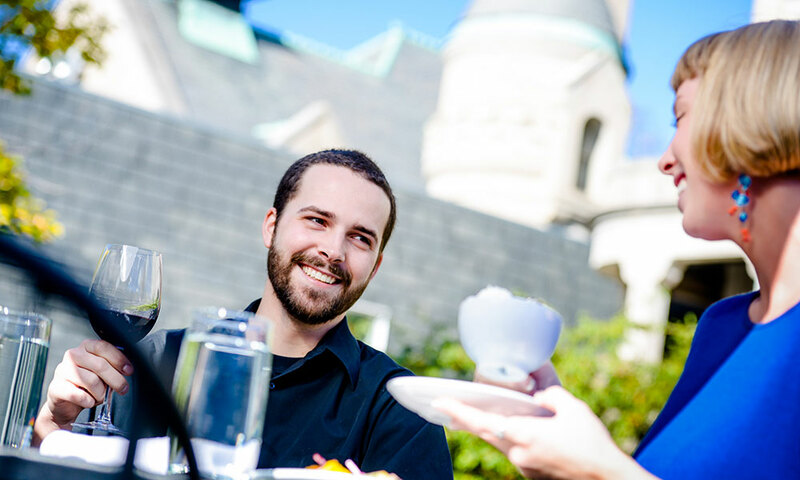 The historic Turnblad Mansion and contemporary Nelson Cultural Center are the perfect settings for weddings, corporate meetings, private parties and special events. For more information, please visit our in house catering company Slate and Stone. **Inquire with the catering department to add additional beverages. To discuss your group dining options, please call Amanda VanderPlas at 612-524-5105 or email her avanderplas@ciemail.com. Swedes celebrate happy hour by going out for an "after work", and while you might not have the chance to make it to Stockholm for your own Swedish happy hour, there's After Work Wednesdays at ASI! FIKA does not take reservations. FIKA is closed the following holidays: New Year's Day, President's Day, Martin Luther King, Jr. Day, Easter, Memorial Day, Independence Day, Labor Day, Thanksgiving Day, Christmas Eve, and Christmas Day.